At this time of year when we focus on the many things we have to be thankful for – family, relationships, life, health (even if it’s not perfect), education, a home (even if we would welcome some changes to it), career, and leisure activities, for starters – we can also be thankful that remaining in our homes as we age in place is now the norm rather than something special. Aging in place is something that most anyone can do, and it doesn’t require any special effort. Of course, as people want a higher quality of life and want their dwelling to serve them more effectively, we can get involved to help them. 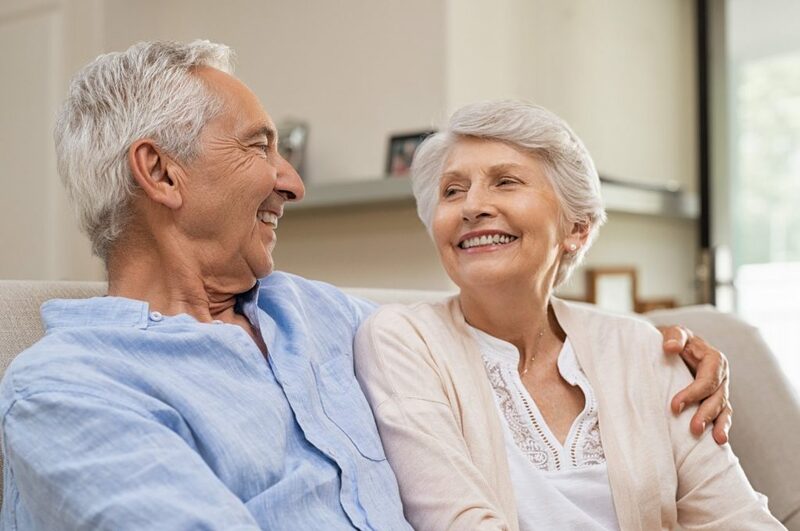 As aging in place specialists, we have both the opportunity and the responsibility to work with people of any age or ability, renters as well as owners, to allow them to remain living in their present homes enjoyably and successfully. People are choosing to age in place – to remain in their home of choice, presumably where they have been living for many years – for a variety of reasons. Recognizing the importance and the impact of these reasons will help us work with individuals who are considering remaining where they are or who definitely want to age in place but have concerns to work through or contemplate. Leading the list of reasons that people want to stay where they are is that they like their home and neighborhood. This doesn’t necessarily mean that everything is perfect or that they wouldn’t like or appreciate some help to make their homes even better for the coming years. It does mean that they are happy living in their home. It is the right size for them – not too small or too large. It’s easy to take care of and maintain. They like the layout of the home – the floor plan, the number of rooms, the size of the rooms, and their relationship to each other in terms of how they are situated in the home. In their present home, they know it so well that they literally can navigate it in total darkness if necessary (in the middle of the night or during a power failure), It is that comfortable and safe for them. They may be suffering from having too much stuff to put everything away, but we can partially help with that – the storage part, if not the paring back part as well. People like their yards, porches, gardens, and other parts outside their home but on their property. They feel safe and comfortable here also. They enjoy being able to use these areas for their hobbies and to entertain guests when they come for a visit. Leaving their homes and going next door to visit a neighbor, taking a walk down the street or around the block, and feeling generally safe and comfortable in their neighborhood and community are part of why people like their homes and want to remain living where they are. A second reason is similar to the first one. People are creatures of habit and just won’t do what it takes to move – even when they are not happy with their present home. They may already have lived in that home or apartment for several years, and they have roots – there is an attachment. While they might talk about getting another home or place to live, they won’t do anything past the talking about it stage. Knowing that people generally are not enthusiastic about moving, we can help them improve the homes they have to make them safe and more accessible, comfortable, convenient, and enjoyable. Another reason that people choose to remain in their current home and age in place – some might even rank this as the primary reason – is economic or financial. People simply can’t afford to replace their home or to complete a move. Their present home may be paid for, or they have reasonable monthly payments. Replacing their home with one of a similar size and layout – assuming they can find something like it. A different home may have some newer appliances and systems, but those can be added to their current home – likely for less money than a move. A move could mean higher property taxes, association dues, and other expense they are not incurring at present. Then, there are the expenditures for getting their home ready to sell (including repairs, painting, landscaping, and staging), paying real estate commissions, and having the contents of their home moved to their new location. Still, another reason keeping people where they are, as already referenced, is all of the stuff they have accumulated over the years. So many memories of their lives and that of their children and grandchildren possibly fill every available storage space in that home – and likely an offsite storage unit or more than one. For all of these considerations – and others – people want to reamin at home and age in place. We get to help them do that.